1 drawing on paper ; 10.5 x 8.5 in. 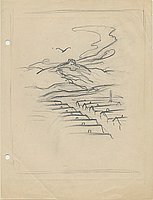 Pencil drawing of Heart Mountain concentration camp which held people of Japanese ancestry in the United States during World War II. 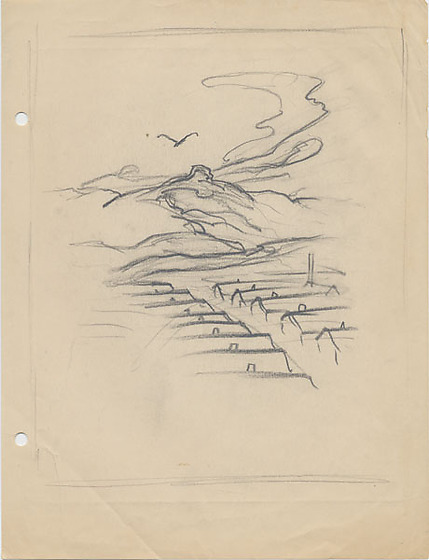 Within a sketched border two rows of partially drawn barracks lay in the foreground ; Heart Mountain rises in the background ; a single bird flies overhead.